Breakfast is definitely my favourite meal of the day. But that doesn’t necessarily mean I think you have to always eat it in the morning. In fact sometimes breakfast is best when it’s in the middle of the day. 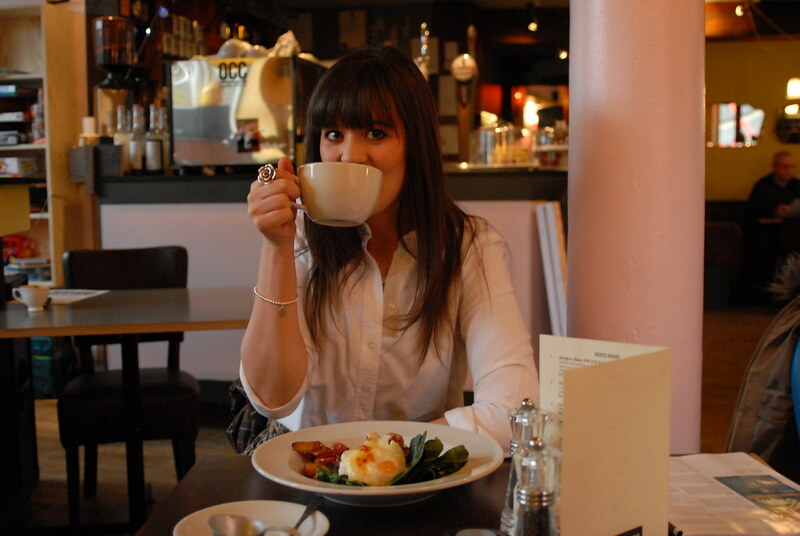 This afternoon, I met Amy at Ernest for a late brunch to catch up over eggs. 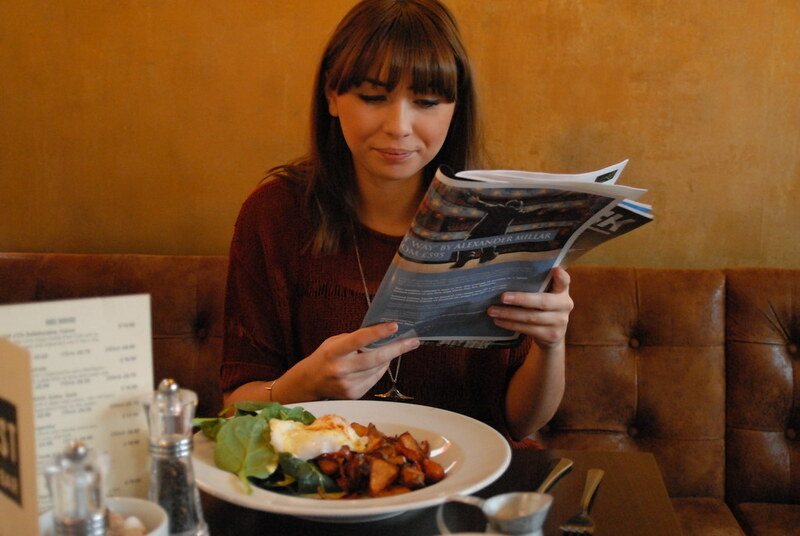 With two big bowls of chorizo hash, (an amazing combination of poached eggs, chorizo, potatoes, spinach and hollandaise), we spent the (late) morning getting up to speed on gossip and reading each other our horoscopes in The Crack. It was also a bit of an excuse to put on my new favourite skirt, since I’ve pretty much stayed in my onesie and avoided leaving the house for most of the weekend. (I’ll put on a proper outfit post tomorrow to show you it). Ernest has sort of become our little spot to meet up lately. It kind of makes sense though since it’s the perfect mix of a bar, cafe and restaurant, and it’s out of the hustle and bustle of the city centre. Plus they serve breakfast all day, and who wouldn’t love them for that? 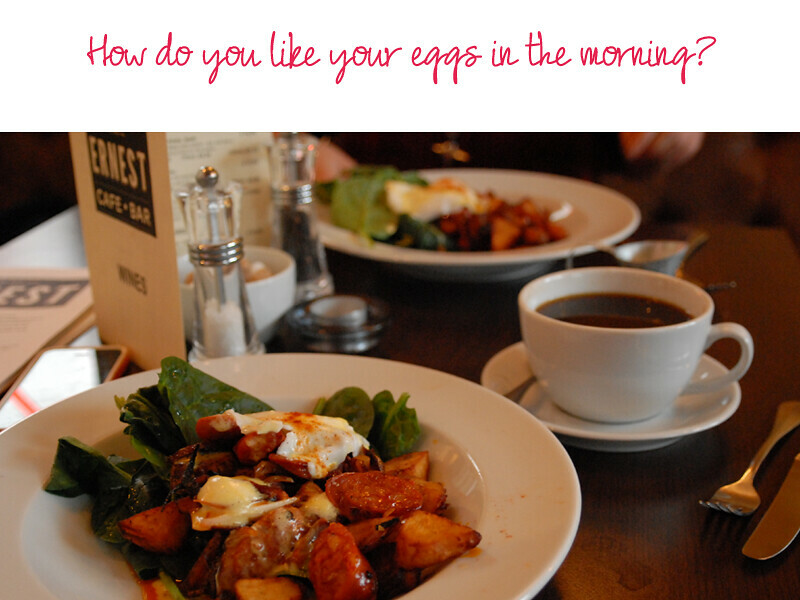 I couldn't agree more – breakfast for dinner is one of my favorite meals! I adore the bangs – I can never get mine to stay so straight! Lovely.